Warwickshire is a county in the West Midlands and the county town is Warwick although the largest town is Nuneaton. The county is divided into five districts of North Warwickshire, Nuneaton and Bedworth, Rugby, Warwick and Stratford-upon-Avon which is a historical hotspot with a variety of mediaeval and Georgian market towns along with two famous castles at Kenilworth and Warwick. The River Avon flows through the wonderful rolling countryside and to the south lies the beautiful landscapes of the Cotswolds. Whilst the south of the county is largely rural and sparsely populated, including a small area of the Cotswolds, the majority of Warwickshire’s population live mostly in the north and central areas. The only town in the south is Shipston-on-Stour which is the highest point in the county at 261 metres (856 ft). The county is also famous for being the birth place of William Shakespeare and George Eliot. Stratford-upon-Avon is a wonderful thriving town situated on the banks of the River Avon and known internationally as the birth place of William Shakespeare and home to the Royal Shakespeare Company. Stratford-upon-Avon, set in the beautiful rural Warwickshire countryside, is a very busy town and popular tourist destination steeped in culture and history. The town’s layout is based on a medieval cross system therefore is very easy to wander around without getting lost. There are five historic houses linked to William Shakespeare’s life which are owned and cared for by the Shakespeare Birthplace Trust, they include Hall’s Croft, Nash’s House, New Place, Anne Hathaway’s Cottage and Mary Arden’s House. William Shakespeare born in Henley Street in 1564 was regarded as the greatest English poet and playwright in the English language. At the age of 18 he married Anne Hathaway with whom he had three children and her cottage is located at Shottery on the edge of Stratford. There are also a host of other attractions and sightseeing tours including the town centres main streets, the museum, Falstaff’s Experience, Butterfly Farm and Jungle Safari, plus walking and cycling routes. The River Avon which flows through the middle of the town and the connecting Stratford Canal offers a ferry service, river cruises, boat hire and boating holidays. Known for its culture and diverse range of events Stratford provides an annual calendar of activity for all the family. Stratford-upon-Avon is close to the Cotswolds and the Cotswolds were a major sheep producing area and up until the late 19th century regarded Stratford as one of its main centres for the processing, marketing and distribution of sheep and wool. 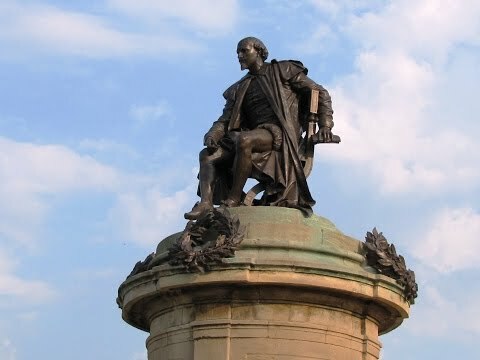 Therefore Stratford also became a centre for tanning during the 15th to 17th centuries using the river and the Roman road as trade routes for the town. The Stratford and Moreton Tramway was a 16 mile long horse-drawn wagon way from the canal basin to Moreton-in-Marsh with a branch to Shipston-on-Stour. The tramway, completed in 1826, was intended to carry Black Country coal to the rural districts of southern Warwickshire via the Stratford-upon-Avon Canal and limestone and agricultural produce northwards. The line was used as a horse-drawn tramway for several decades, but did not prosper. In 1851 the tramway between Moreton and Stratford began to experiment with steam trains after the Oxford, Worcester & Wolverhampton Railway opened through Moreton-in-Marsh. The branch line between Stratford and Shipston continued to be used as a horse-drawn line carrying lime until the 1880’s when it fell into disuse. The tracks were lifted in 1918 and abandoned in 1926 exactly 100 years after it opened. The tramway bridge across the River Avon at Stratford remains in use by pedestrians. The River Avon also known as the Warwickshire Avon or Shakespeare’s Avon has been divided since 1719 into the Lower Avon below Evesham and the Upper Avon from Evesham to above Stratford-upon-Avon. The river is 85 miles long and adjoins the counties of Leicestershire, Northamptonshire, Warwickshire, Worcestershire and Gloucestershire. The Lower Avon is navigable from Alveston weir which is 2 miles upstream of Stratford-upon-Avon and downstream to Tewkesbury and the River Severn by the construction of locks and weirs. The Stratford-upon-Avon Canal links to the River Avon through a lock in the park in front of the Royal Shakespeare Theatre and both are part of the Avon Ring a circular cruising route which is 109 miles long and includes 129 locks. The river and lock are now mainly used for leisure activities. Shakespeare’s Avon Way is a long distance footpath following the course of the River Avon as closely as possible using existing public footpaths, bridleways and a few minor roads. The 88 mile long footpath starts at the River Avon’s source at Naseby in Northamptonshire and ends at the rivers confluence with the River Severn at Tewkesbury in Gloucestershire. The path is well marked with white arrows with Shakespeare’s head or green discs with river symbol and his name on. Monarch’s Way is also a long distance footpath more or less following the escape route taken by King Charles II in 1651 after being defeated in the Battle of Worcester. The route is 615 miles long and marked with yellow discs with a ship “The Surprise”, the Prince of Wales crown and the Royal Oak tree at Boscobel House. Starting at Powick Bridge at Worcester the path runs north to Boscobel then south to Stratford-upon-Avon continues south to Stow-on-the-Wold before turning south west to Cirencester and Bristol. It then heads south across the Mendip Hills to Wells then on through Somerset and then south west to Charmouth where there is a short section along the Dorset coast before turning north to Yeovil then turns east across the Downs to Brighton and Shoreham-by-Sea. From the car park we take a small tour of the town then make our way to the Tourist Information Centre and cross the road down Waterside to the gardens, canal and river. We cross over the canal bridge then turn right over the tramway bridge then immediately right and follow the river on our right through the park area passing the band stand on our left and the ferry crossing on our right we can see the church steeple in the distance. We keep heading forwards following the river past the church on the right then take a look at the lock also on the right. We keep to the river path passing two weirs then go under the road bridge on the Shakespeare’s Avon Way and soon come to another lock and weir. We head forwards up some steps and through the fields until we come to an iron bridge on the old railway line. We go under the railway line then turn immediate left and head forwards to cross a bridge over the River Stour and then turn left again still following the old railway line for a short way. We then turn right back towards the River Avon. We turn left over a little footbridge and follow the river to Luddington Lock. We then bear left and follow the path to a track sign posted Public Bridleway. We turn left and follow the track turning right at the buildings then left onto the old railway line and Monarch’s Way. We follow the line back to the iron bridge cross over the race course is on our left and take the path on the right opposite a seat and follow the river on our right, still on the Monarch’s Way. We go back under the road bridge and follow the path to the church. We go through the church yard. On leaving the church yard we head forwards for a very short way then take the footpath on the right through a gate. We make our way across the park area back to the river and follow the river back to where we started at the canal. We then make our way back to the car park. This is an easy flat walk, with only one gradient, on good tracks and paths and also through some grass fields. Approx 8 miles allow 2 hours 45 minutes using OS Explorer Map 205, Stratford-upon-Avon & Evesham Alcester. From the M40 take junction 15 onto the A46 sign posted Stratford. At the roundabout take the first exit onto the A439 sign posted local traffic to Stratford town centre. Parking: There are plenty of car parks to choose from. In Stratford there are plenty of public toilets and for refreshments there are ample shops, cafes, tearooms, takeaways, pubs and restaurants to choose from. Please see the tourist notice boards with a map of the town centre for locations of toilets and parking.